Routine inspections are necessary to keep your Charleston rental property protected and well-maintained. This will not only help protect your investment, it will also help attract quality tenants. That is tenants who are responsible, respectful, creditworthy, and above all – able to make timely rent payments. Regularly keeping an eye on your property’s condition will make the tenant see that you care about their quality of living. In turn, this will make the tenants care for the property. A tenant who feels cared for is likely to renew their lease with you. Regular inspections will help you check for lease violations. Common lease violations in Charleston include unauthorized pets and guests and unapproved alterations. Just like you (the landlord), a renter also has responsibilities under the Charleston lease or rental agreement. For example, it’s the renter’s responsibility to keep the rental unit in a clean and sanitary state. This is perhaps one of the main reasons why landlords conduct rental property inspections. Regular inspections will help identify repair issues early before they become costly. It’s every landlord’s responsibility to ensure that their rental properties adhere to habitable living conditions. Regular inspections will help you identify when electrical problems start to happen or when the ceiling starts to crack. Maintain records. By its very nature, managing a property tends to accumulate paperwork. It is a good idea to save and label documents by date for ease of reference in the future. You should also keep a printed copy of all property information in a physical folder, as well as electronic versions on your computer. Be reasonable. It doesn’t mean your tenants will have the same housekeeping standards as yours. Unless what they are doing is causing property issues (like drying clothes in the bedroom causing dampness or face wipes in the toilet causing blockages), then, you need to be reasonable. Be thorough – but not too thorough. Rummaging through private wardrobes and drawers is unlikely to help you detect a faulty light or find a leak. Remember safety. Check to see that fire doors are closing properly. Also, check smoke alarms. Are they working properly? Garden – is it clear of trash and well-maintained? General condition of fittings – are they in good condition and in working order? Visual inspection – are there any new stains that need further investigation? Are the carpets/floors, walls, and ceilings in good order and free of damp and mold? Heating, hot water, and lighting – make sure that every system is working efficiently by checking each light switch, radiator, and tap. Points of entry – check that all the locks are in working order, that windows and doors function properly, and taps don’t leak. Take maintenance requests seriously and respond to them quickly to prevent costly repairs. Repairing a leaky sink is much more affordable than replacing the floor due to water damage. Provide a small cleaning kit upon move-in. For instance, you could provide an all-purpose cleaner, bleach, and sponges. This not only empowers your new tenant to keep the property clean, it also helps establish a good relationship with them. This is the kind of rental property inspection that every landlord in Charleston should be carrying out at the start of every lease term. 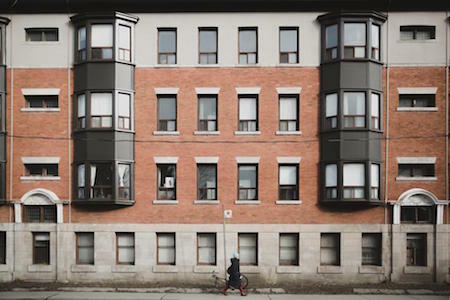 The move-in inspection helps document the condition of the property to avoid confusion regarding property damage at the expiry of the lease term. Record anything big or small. Check every room, wall, floor, window, and door. After both you and your tenant are done documenting the property’s condition, sign the paperwork. Seasonal inspections allow you check for any needed repairs and to ensure lease compliance. With each season comes the need for exterior and interior preventative maintenance tasks. For example, weatherizing pipes during winter or cleaning gutters every fall. Tenants are required to return the property back to the landlord in the same condition they found it when they moved in. A move-out inspection will help you check whether the tenant has caused property damage in excess of “normal wear and tear”. For example, you can check for missing or damaged door locks/handles or a smashed bathroom mirror. If there any such damages, you’ll have the right to deduct appropriate costs from their security deposit amount. You can’t, however, charge the tenant for damages resulting in normal wear and tear. For instance, dirty grout, loose door handles, faded color of the carpet, or a couple of small stains on a carpet. Finally, is a drive-by inspection. This type of inspection doesn’t require you to coordinate schedules with your tenants. Additionally, you don’t need to provide your tenants with prior notice. A drive-by inspection will help you identify lease violations such as unauthorized pets and guests. Except for a drive-by inspection, all the rest require that you provide your tenant with a notice. In South Carolina, the landlord-tenant law requires you to provide at least a 24 hours’ notice before entering a rental unit. Besides providing the notice, the reason and time for the entry must be within reason. This helps make sure that your renter’s privacy rights are protected. Failure to do so puts you at risk of being accused of tenant harassment. No matter how thorough your tenant screening process is, regular inspections are a must for any landlord. 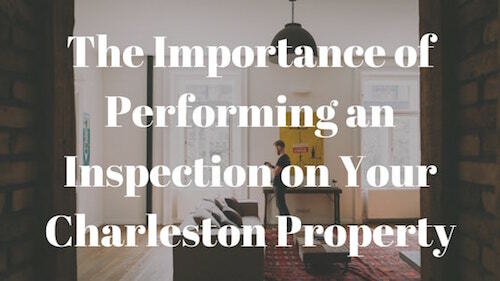 A 5-minute inspection at your Charleston, SC rental property can mean the difference between profitability and business failure.